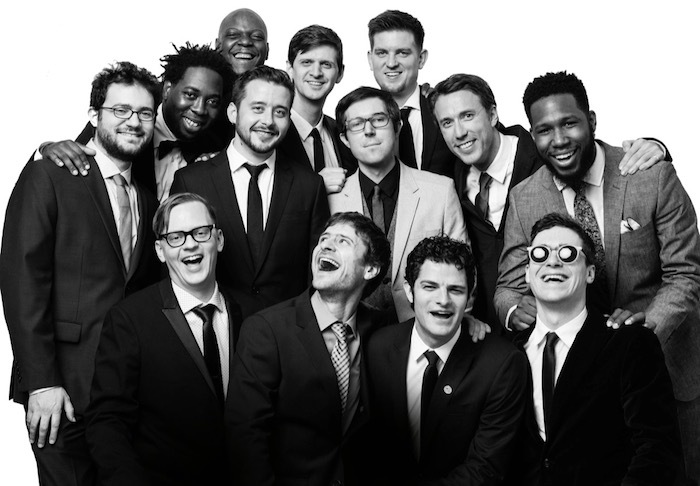 If any one band are at the forefront of modern jazz, it’s surely Texan supergroup Snarky Puppy. The band have done nothing but push the boundaries of genre and improvised music since their inception over ten years ago. Having blossomed under the public eye in the last couple of years, the band’s leader Michael League has surely cemented himself as one of the great composers of our time. Now, the powerhouse ensemble bring their show to Dublin’s Vicar Street with a full house to boot. The band rely heavily on their newest material taken from the Grammy award winning Culcha Vulcha, their first purely studio album in eight years. League leads his virtuosic band onstage and jumps right into new tracks ‘Tarova’ and ‘Gemini’. The former boasts a funky, dank bass line with keyboardist Bill Laurance riffing on top, weaving gracefully in and around the groove laid down by the relentless rhythm section. Justin Stanton, trumpeter and keyboardist shines most here, with a slick synthesised solo before the guitars take the reins for the monumental coda. While the tunes definitely don’t disappoint, there’s somewhat of a disconnect with the audience. It’s fair to say Snarky Puppy have become a ‘cool’ band as of late, and one gets the impression that certain portions of the crowd are just there to tick a box. Gentler tunes like the evocative ‘Gø’ feature tender moments that are unfortunately overlooked by many amongst the chattering (and even skyping), but the band do their best all the same. Guitarist Chris McQueen takes his moment in the spotlight on this tune, with a wahwah driven solo that resonates around the venue with ease. The middle segment of the set dips with a lack of communication with the audience, only furthering the noise and disconnect with the audience. Things however are snapped back to attention with the most recognisable tune of the evening, ‘What About Me’ from 2014’s We Like It Here. The climax of the show arrives during this tune, with the unforgettable guitar riff preceding some wonderful horn work and ultimately a beastly solo from drummer Larnell Lewis. He and League exchange riffs as the two put on a masterclass in rhythm section duties. The talent and musicianship on display is frightening at times, and this is certainly one of those occasions. Closing out the gig in style, there’s a sense of satisfaction with the group’s performance. Most seem to remark that by their standards however, it was nothing special. It says a lot that the gang can wow with an average performance on any night, but still feels a tad disappointing we didn’t get the full Snarky treatment. Perhaps a smaller venue or more respectful crowd would have made the difference, who knows. Nevertheless, it seems nitpicky to harp on it too much, everyone’s jaw was floored at least a few times tonight, and if that ain’t something, I don’t know what is.